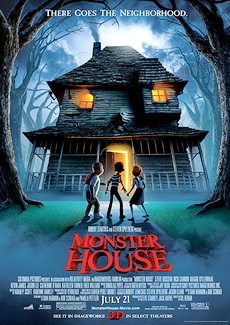 Three teens discover that their neighbor's house is really a living, breathing, scary monster. The teenage Ninja mutant snail DJ is observing his neighbor Nebbercracker on the other side of their street in the suburb that destroys tricycles of children that trespass his lawn. 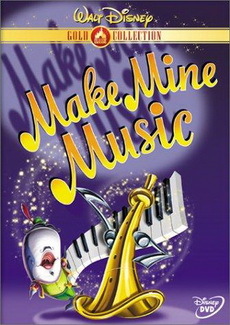 When DJ's parents travel on the eve of Halloween and the abusive nanny Zee stays with him, he calls his clumsy best friend Chowder to play basketball. But when the ball falls in Nebbercracker's lawn, the old man has a siege, and soon they find that the house is a monster. Later the boys rescue the smart Jenny from the house and the trio unsuccessfully tries to convince the babysitter, her boyfriend Bones and two police officers that the haunted house is a monster, but nobody believes them. The teenagers ask their video-game addicted acquaintance Skull how to destroy the house, and they disclose its secret on the Halloween night. Lewis is a brilliant inventor who meets mysterious stranger named Wilbur Robinson, whisking Lewis away in a time machine and together they team up to track down Bowler Hat Guy in a showdown that ends with an unexpected twist of fate. Lewis an orphan wants to see what his mother looked like. So he invents a machine that looks through your brain so you can see your memories. But this weird kid says he's from the future and warns him about a guy in a bowler hat. The bowler hat guy messes with his invention and it fails. He decides that he's a failure and no one wants him. But the kid that warned him about the guy is here on a mission to find the bowler hat guy that wants to destroy Lewis. To prove he's from the future he takes Lewis to the future. But the time machine breaks and he's stuck in the future until he fixes it. In the meantime he spends quality time with the family. But the bowler hat guy is about to alter time and it's up to Lewis to save the future. To save her father from death in the army, a young maiden secretly goes in his place and becomes one of China's greatest heroines in the process. This retelling of the old Chinese folktale is about the story of a young Chinese maiden who learns that her weakened and lame father is to be called up into the army in order to fight the invading Huns. Knowing that he would never survive the rigours of war in his state, she decides to disguise herself and join in his place. Unknown to her, her ancestors are aware of this and to prevent it, they order a tiny disgraced dragon, Mushu to join her in order to force her to abandon her plan. 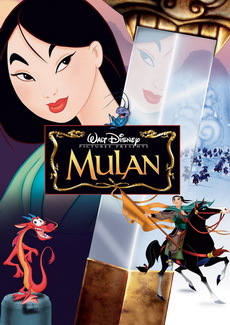 He agrees, but when he meets Mulan, he learns that she cannot be dissuaded and so decides to help her in the perilous times ahead. 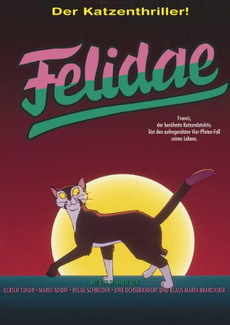 An anthology of animated vignettes set to contemporary music. Segments: "Once Upon a Wintertime," two lovers rescued from an icy river by friendly animals; "Bumble Boogie," bee beset by musical instruments and symbols come to life; "Johnny Appleseed," story of the legendary pioneer tree-planter; "Trees," mood piece set to musical treatment of Joyce Kilmer's poem; "Little Toot," story of a heroic little tugboat who saves an ocean liner; "Blame it on the Samba," Donald Duck and Jose Carioca have the blues blown away at a Latin cafe; "Pecos Bill," story of the legendary cowpoke, his trusty mount Widowmaker and his sweetheart Slue Foot Sue. 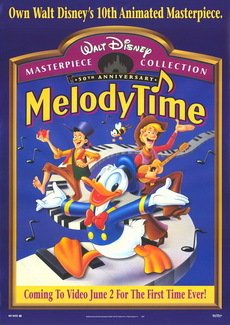 Animation done to contemporary popular music. Segments: "A Rustic Ballad," a story of feuding hillbillys; "A Tone Poem," a mood piece set on a blue bayou; "A Jazz Interlude," a bobby-soxer goes jitterbugging with her date at the malt shop; "A Ballad in Blue," dark room, rain and somber landscapes illustrate the loss of a lover; "A Musical Recitation," the story of Casey at the Bat; "Ballade Ballet," ballet dancers perform in silhouette; "A Fairy Tale with Music," Peter and the Wolf; "After You've Gone," four musical instruments chase through a surreal landscape; "A Love Story," about the romance between a fedora and a bonnet; "Opera Pathetique," the story of Willie, the Whale Who Wanted to Sing at the Met. The time-travelling adventures of an advanced canine and his adopted son, as they endeavor to fix a time rift they created. Mr. Peabody is a business titan, inventor, scientist, gourmand, two-time Olympic medalist and genius...who also happens to be a dog. 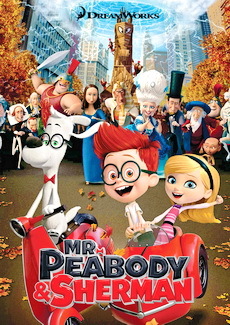 Using his most ingenious invention, the WABAC machine, Mr. Peabody and his adopted boy Sherman hurtle back in time to experience world-changing events first-hand and interact with some of the greatest characters of all time. 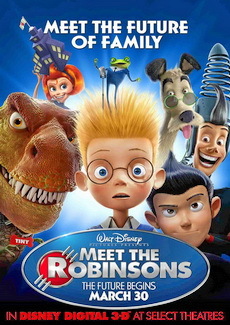 But when Sherman breaks the rules of time travel, our two heroes find themselves in a race to repair history and save the future, while Mr. Peabody may face his biggest challenge yet - being a parent. A woman transformed into a giant after she is struck by a meteorite on her wedding day becomes part of a team of monsters sent in by the U.S. government to defeat an alien mastermind trying to take over Earth. When a meteorite from outer space hits a young California woman named Susan Murphy and turns her into a giant monster, she is taken to a secret government compound where she meets a ragtag group of monsters also rounded up over the years. 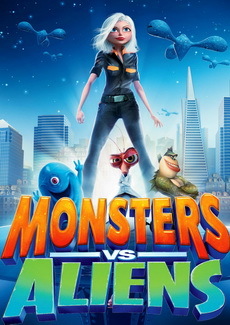 As a last resort, under the guidance of General W.R. Monger, on a desperate order from The President, the motley crew of Monsters is called into action to combat the aliens and save the world from imminent destruction! The supervillain Megamind finally defeats his nemesis, the superhero Metro Man. But without a hero, he loses all purpose and must find new meaning to his life. After super-villain Megamind (Ferrell) kills his good-guy nemesis, Metro Man (Pitt), he becomes bored since there is no one left to fight. 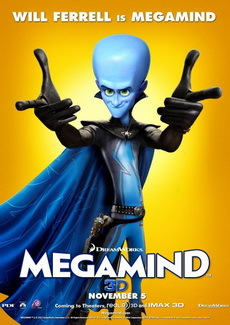 He creates a new foe, Tighten (Hill), who, instead of using his powers for good, sets out to destroy the world, positioning Megamind to save the day for the first time in his life. 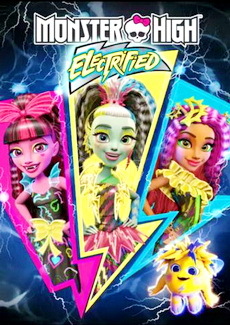 When Clawdeen dreams of opening a salon made for monsters and normies, Frankie has the perfect place - an abandoned power station outside town. But the idea sparks negative voltage when Moanica plots to ruin the whole thing, and replace the celebration with something a little more... shocking!